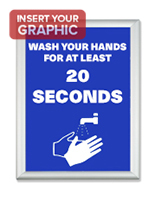 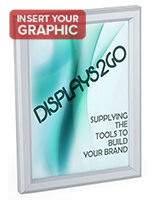 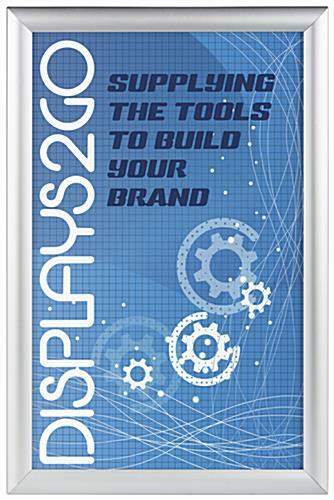 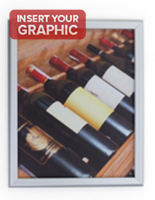 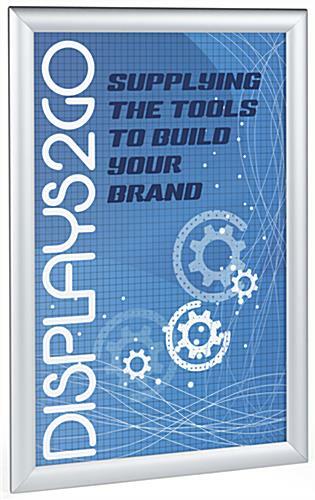 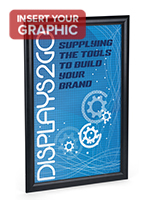 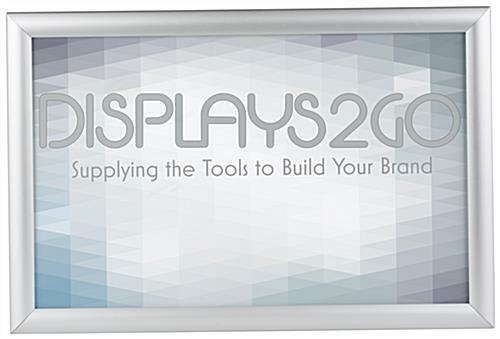 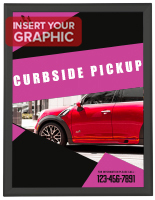 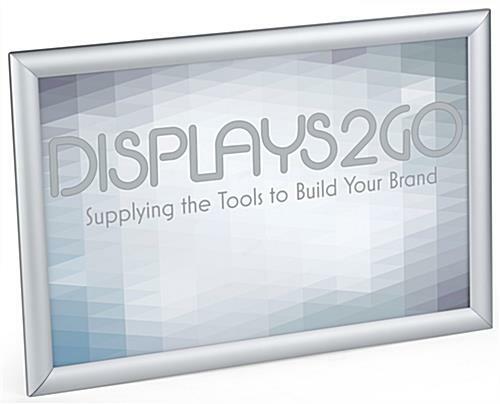 This 11" x 17" poster holder makes the perfect custom display for your graphics. 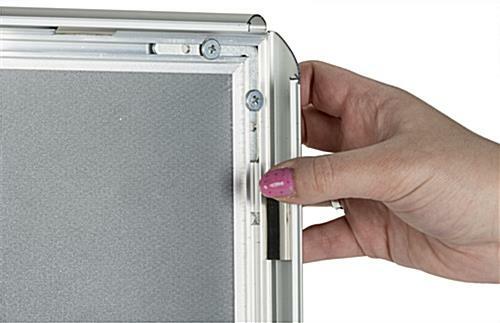 The curved, aluminum frame can be easily changed with the easy open front loading design. 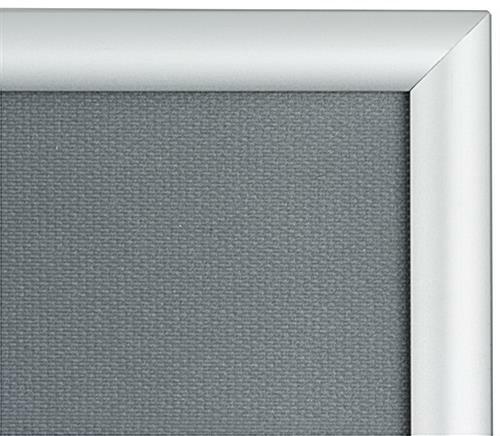 The silver holder mounts on the wall with the inlcuded hardware or can be placed on tables and counters. 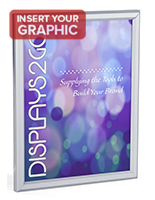 The PVC lens protects your graphics and prevents glare. 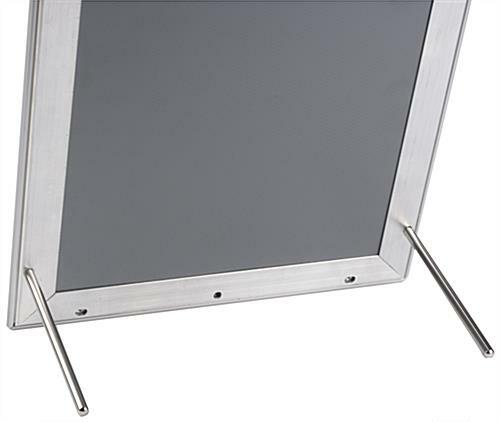 The holder is lightweight and a breeze to set up! 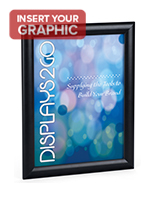 I really liked this poster holder; it very easy to assembly and looked well on my bridal show table. 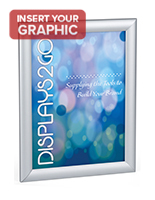 The product arrived very fast so I was very pleased too with the company.